The PA'ss Attorney General decided on Sunday to freeze the bank accounts of Future for Palestine, which is headed by former Prime Minister Salam Fayyad. 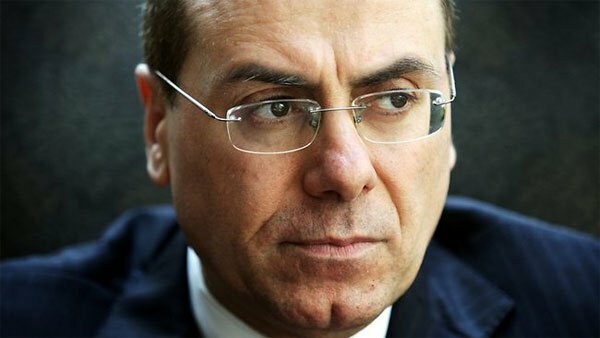 Fayyad rejected the freezing of his foundation's funds and said he would veto it before the judiciary. 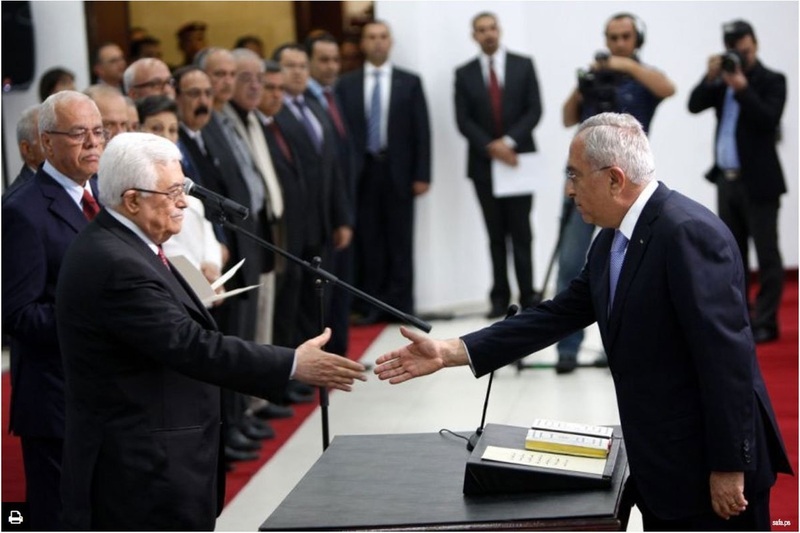 The relationship between Fayyad and President Mahmoud Abbas worsened amid already strained relations between the former prime minister and Fatah's leaders. 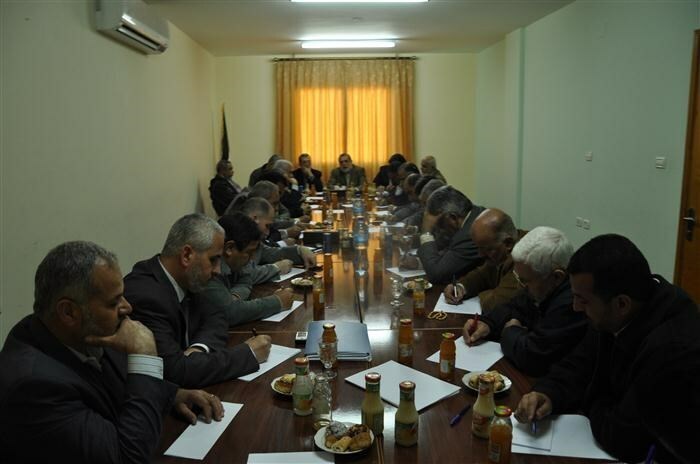 The Executive Committee of the Palestine Liberation Organization (PLO) has started a round of negotiations with Palestinian political factions and parties in an attempt to form a new government line-up that would involve Hamas and the Islamic Jihad, among other parties. 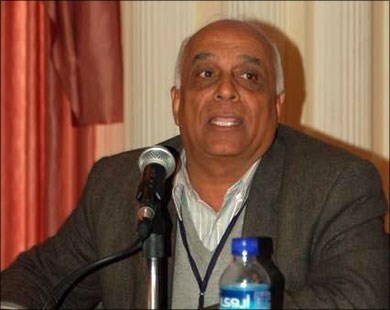 Member of the PLO Executive Committee Wassel Abu Youssef was quoted by the Anadolu News Agency as stating that a meeting held in the Ramallah-headquarted presidency late Monday evening culminated in a decision to launch talks on a new unity government line-up involving representatives from different political factions and independents. The meeting comes a few months after a number of Palestinian political factions called for the formation of a new government of national consensus comprising representatives from the Islamic Resistance Movement, Hamas. An agreement signed on April 23, 2014 between Hamas and Fatah heralded an end to the national rift and ruled for forming a unity government, activating the Palestinian Legislative Council, and preparing for democratic elections. The Palestinian Authority, however, has often excluded Hamas, a majority-faction in the occupied Palestinian territories, from the act of decision-making in the national socio-political arena, spurring rage among the group’s backers in the West Bank and Gaza Strip. Following the overwhelming operative in Jerusalem Sunday, where a Palestinian teenager was shot after stabbing Israeli border guard, Prime minister Benjamin Netanyahu cancelled permissions to enter “Israel” for the people of Si’ir village near Hebron and 500 others. 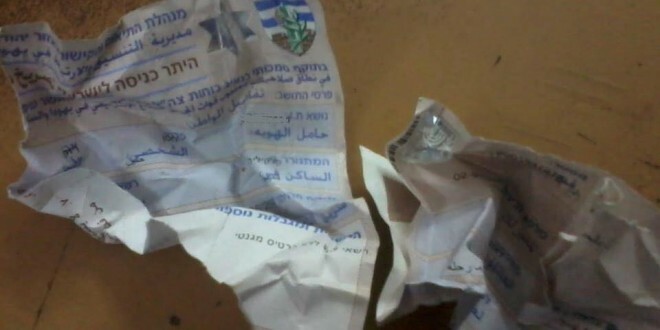 A number of Palestinian youths in response to the operative are ripping off the permissions which they received for the month of Ramadan, after Israeli authorities relaxed the procedures to get it and allowed men over 40 to go to Jerusalem without it. Israeli authorities every year ease the process of obtaining permits for Palestinians to boost its economy, exploiting thousands of Palestinians who dream of going to the occupied capital of Palestine. However, after the operative yesterday, Palestinian youngsters, some of them who received the permit for the first time in their lives, raised the slogan “Palestine is more precious than an Israeli permit,” Boycotting Israeli authorities. The Hamas Movement has expressed rejection of the formation of a new Palestinian government committed to the roadmap of the international quartet on the Middle East. 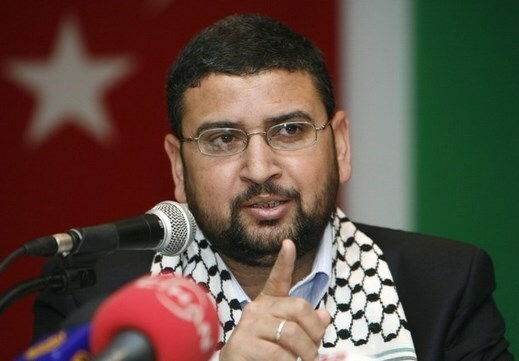 "Any Palestinian government committed to the quartet's conditions or any non-consensual political programs means that it will be a government for Fatah alone and has nothing to do with the reconciliation agreement," Hamas spokesman Sami Abu Zuhri stated in press remarks. Abu Zuhri held the Fatah leadership responsible for the consequences of its decision to revoke the national reconciliation agreement and form a new government approved by Israel and the international quartet. Palestinian minister of foreign affairs Riyadh al-Malki said in recent remarks that the government to be formed in the coming days would abide by the conditions set by the international quartet, which demand the Palestinians to recognize Israel and international agreements. A Palestinian youngster from Khan Younis refugee camp south Gaza Saturday evening has strangled himself in his family home, committing suicide. Reporters quoted witnesses saying that (M. M) aged 25, was moved to Nasser hospital a dead body after the incident. The victim was said to have psychological disorders. There is still no further information on the case. The rate in besieged Gaza was lower than the West Bank despite the higher populations. In Gaza, 2014 carried the suicide of 12 people. The West Bank had 27 similar cases, adding 8 people to the list of 2013. 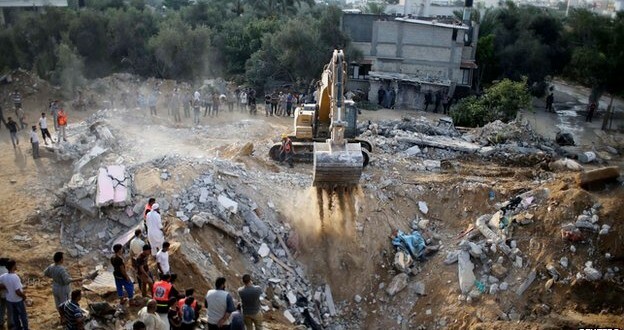 However, Al-Shifa governmental hospital which was destroyed during the Israeli offensive last summer, said that in Gaza, at least one person attempted suicide on a daily basis. In 2014, about 350 people in Gaza attempted suicide but were saved. The reasons behind the boost in suicide rates in the West Bank were referred to the psychological disorders which the victims suffer as a result of the worsening social, political and financial situations. According to report by the World Bank organizations, the deterioration of the Palestinian economy continued in 2014, particularly in Gaza where the situation was dire even before the conflict. The average yearly economic growth exceeded 8% between 2007 and 2011 but declined to 1.9% in 2013, and reached minus 1% for the first quarter of 2014. A quarter of the Palestinian population lives in poverty, with the rate in Gaza twice as high as that in the West Bank, as Palestinian businesses were crippled by the restrictions on movement of people and goods. While it is expected from the private sector to play a vital role in creating jobs, the constraints are such that only 11% of formal firms have more than 20 workers compared to 35% in comparable lower-middle income countries. In addition, the 51-day Israeli offensive last summer on Gaza killed more than 2,200 people, about 500 of them children under the age of 11. The aggression also demolished 19,000 homes and made homeless about 100,000 people, after construction aid failed to reach Gaza. The previous issues lead to more social disintegration, despair and existential crises, leaving the victim obsessing over escaping. Qasem: Abbas's decision to dissolve unity gov't "political extortion"
Noted political analyst Abdul-Sattar Qasem has described Mahmoud Abbas's decision to dissolve the unity government and form a new government as an attempt to politically extort Hamas. "Practically, any Palestinian government under the current circumstances cannot be wagered on, and whether al-Hamdallah stayed or resigned, nothing would change because corruption and nepotism are rooted in the Palestinian Authority institutions," he said. "Abbas has also felt that the Europeans and Israelis want to open lanes and windows with Hamas and that he is no longer required according to power standards, so his step is an attempt to extort something from Hamas to offer it to the Israelis in order to get new credentials," he added. The Change and Reform parliamentary bloc of Hamas Movement said any new Palestinian government must be approved by the Palestinian Legislative Council (PLC), otherwise, it will lose its constitutionality. “Any solo steps away from unity and law are not counted. The Palestinian President along with Fatah movement bears the consequences”, Masri said. Media sources revealed that the unity government resigned on Wednesday and Prime Minister Rami al-Hamdallah was assigned to re-form a national unity government. The presidency’s spokesman Nabil Abu Rudaineh, however, denied the news of resignation. Abu Rudainah confirmed that Hamdallah will attend the executive committee meeting of the Palestine Liberation Organization (PLO) to be held next Monday to discuss the formation of a new national government. Hamdallah is still occupying his position, he added. 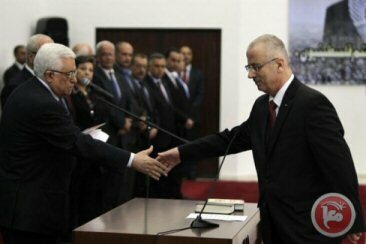 Palestinian president Mahmud Abbas (left) shakes hands with prime minister Rami Hamdallah after a 2013 swearing in ceremony in Ramallah. The Palestinian unity government formed last year in a bid to heal rifts between Hamas and president Mahmoud Abbas' Fateh party resigned on Wednesday, an official said. According to AFP, an aide to president Mahmoud Abbas said that prime minister Rami Hamdallah "handed his resignation to Abbas and Abbas ordered him to form a new government." Discussions to form a new government would include consultations with the various Palestinian factions, including Hamas, he said. 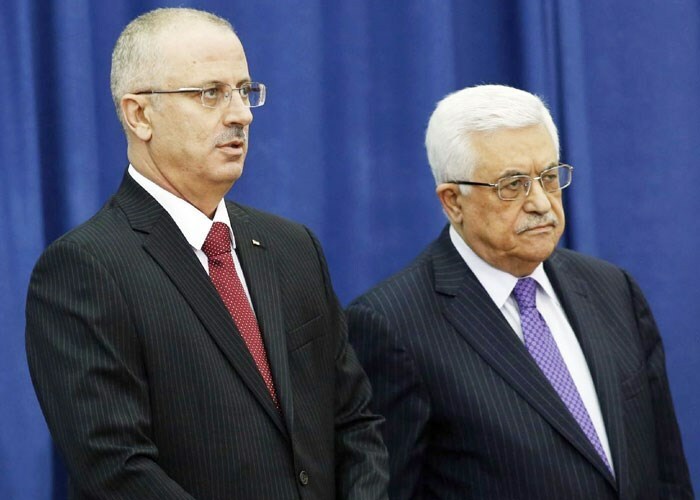 Abbas' spokesman Nabil Abu Rudeineh, however, told the official PA news agency WAFA that Hamdallah had not handed in his resignation. Officials have said the planned dissolution of the government, made up of technocrats, had been under discussion for several months because of the cabinet's inability to operate in the Hamas-dominated Gaza Strip. Both Hamas and Islamic Jihad have condemned the unilateral dissolution of the government, a decision they say they were not consulted over. "No one told us anything about any decision to change and no one consulted with us about any change in the unity government. Fateh acted on its own in all regards," Hamas spokesman Sami Abu Zuhri told AFP Wednesday. Khalid al-Batsh, a senior leader in Islamic Jihad, also condemned the "unilateral" move to dissolve the unity government. Before the official resignation, a PLO official said, "The government will continue to function until we have a new one. "I think what's coming now is the formation of a government with politicians, not a government of technocrats." Senior Hamas official Ziad al-Zaza meanwhile struck a conciliatory note, calling on Abbas "to form a unity government with all national and Islamic factions to face Israeli occupation." Riyad al-Malki, foreign minister in the outgoing government, said "the prime minister always wanted to incorporate new ministers. "At the end of the day it's not going to change anyway our position when it comes to peace and our commitment towards peace with Israel, our responsibility regionally and internationally fighting terrorism," he said during a visit to Prague. "Rest assured that whatever change will take place is not going to hinder our commitments regionally or internationally." The move comes at a critical time, with Hamas sources reporting the group is holding separate, indirect talks with Israel on ways to firm up an informal ceasefire agreement that took hold last August, ending the 50-day war in Gaza. It was not clear whether Abbas's move to dissolve the government was linked to those talks, but the PLO official said he believed that they played a role. "If you end up having a different kind of status for Gaza, then basically the idea of a Palestinian state completely disappears," the official said. 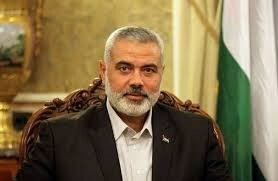 Another high-ranking Hamas official said he believed Abbas decided to act after receiving word of the indirect contacts. "When Mahmoud Abbas heard of international envoys taking part in talks to solve the (Gaza) crisis, it caught him off guard, then he took that decision," Bassem Naim told AFP. "He felt there was a possibility that a solution be found without the (Palestinian) Authority being involved." The indirect Hamas-Israel talks are said to have gone through a number of Arab and European channels. A Hamas source said senior members of the Islamist movement had met in Doha over the weekend for talks with Qatari officials, although Hamas has so far denied reaching any type of long-term agreement with Israel thus far. They focused on key issues for Hamas such as ending Israel's blockade, now entering its ninth year, and the establishment of a sea passage between Gaza and the outside world, the source said. He did not say whether other Palestinian factions were involved in the talks, such as Abbas' Fateh movement, which was heavily involved in Egyptian-brokered talks that ended Gaza's 2014 conflict. An Abbas spokesman had said a truce that ended the suffering in Gaza would be welcomed, but added that it "must not have as its price a move away from the Palestinian and national consensus." The move to dissolve the government signals a fresh setback in efforts towards the Palestinian and national consensus, as the Palestinian leadership in the West Bank and Gaza Strip have struggled to maintain a unity government pieced together in June 2014. The move initially materialized after Fateh and Hamas announced a national unity deal a few months prior in attempt to end seven years of political division between the largest two Palestinian parties and pave the way for general elections which haven't been held since 2006. Palestinian Authority (PA) chairman Mahmoud Abbas announced Tuesday that the Ramallah-based government would resign within the next 24 hours, several senior Fatah officials told AFP. Speaking to AFP, the sources said discussions to form a new unity government would begin immediately after the current one steps down in coordination with the PLO and Hamas movement. Consultations to form a new government will only last for few days, the sources added. Islamic Jihad movement called on Palestinian President Mahmoud Abbas not to take unilateral actions related to the future of the unity government and the formation of new government without national consensus. Islamic Jihad leader Khaled al-Batesh stressed, in a press statement on Wednesday, the need for maintaining national cohesion. He said that his movement is following up the latest news on the unity government’s intention to submit its resignation, noting that his movement is keen on maintaining safety of national fabric as well as previous achievements despite obstacles. Batesh demanded “quick return to dialogue and consultation on all issues that serve the interests of our people and cause”. 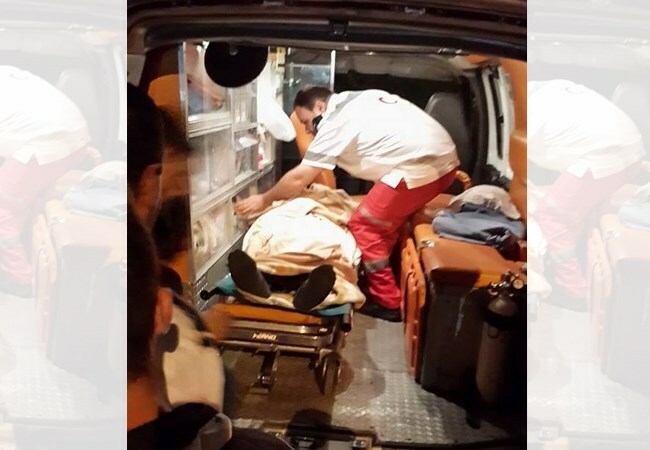 15 Palestinian workers at Jenin municipality continued their hunger strike for the third day despite the emergence of health consequences as one of the strikers were conveyed to hospital at night on Sunday. The workers have been sitting-in inside the municipality building for three days in a row confirming their demands and stressing their intention of continuing the strike until their demands are answered. About 500 of Jenin municipality employees are demanding for work the allowance they used to get before the new regulations of local institutions within the enforcement of the understandings with the minister of local government. The workers’ demands also include 70% discount for all the employees on municipality services as well as rehousing of all the municipality workers in addition to payment of February salary. The Palestinian former Prime Minister and deputy head of Hamas' political bureau Ismail Haniyah hailed on Sunday the role of Qatar and South Africa in support of the Palestinian people. In a phone call with Qatar's former Emir Sheikh Hamad bin Khalifa Al Thani, Haniyah expressed his gratitude over "Qatar's courageous positions" in support of the Palestinian people especially in Gaza, in reference to the Qatari efforts for the reconstruction of the besieged strip. For his part, the Qatari former Emir stressed his country's continued support to the Palestinian people till meeting their rights. On the other hand, the South African Ambassador to Palestine Mlungisi W. Makalima visited Haniyah to bid farewell as he leaves his office in Gaza. The South African Ambassador stressed his country's total support to the Palestinian rights to freedom and independence. He also stressed the South African continued efforts to lift the siege on Gaza. Haniyah, in his turn, appreciated South Africa's solid positions in solidarity with the Palestinian cause and people. The Palestinian former Prime Minister thanked W. Makalima for his personal efforts as a representative of South Africa in Palestine for ending Israel's summer aggression and continued siege on Gaza. The hunger striker Khader Adnan’s family criticized Friday the Palestinian Authority’s passive position towards their son’s issue, calling for saving the Palestinian prisoners’ life. 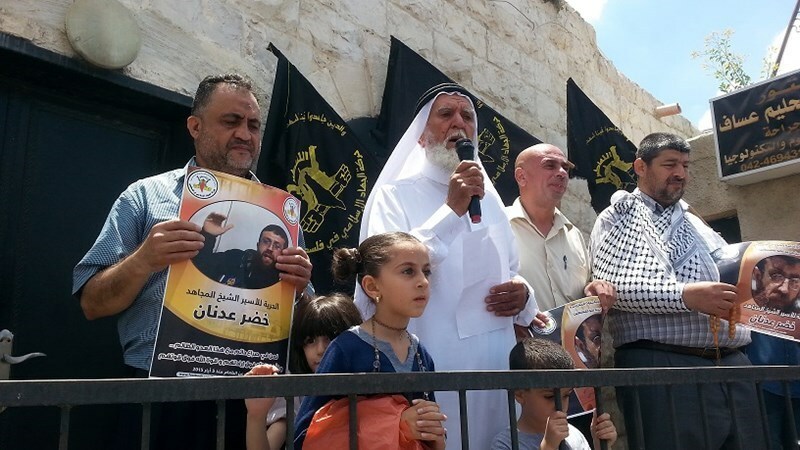 During solidarity vigil with Khader Adnan organized in Jenin, hunger striker’s father called on Arab leaders to intervene urgently to save prisoners’ lives especially those who launched hunger strike. Adnan’s father strongly slammed the PA’s continued silence and passive position towards the hunger strikers in Israeli jails, calling on Mahmoud Abbas to prosecute the occupation in international courts for committing war crimes against Palestinian prisoners. For his part, head of the Palestinian Prisoners Society Ragheb Abu Dik said that Adnan’s health condition is very critical as he suffers severe weight loss, frequent vomiting, and sharp pains all over his body. In his turn, former minister Wasfi Qubaha stressed the need for forming a Palestinian national committee to activate prisoners’ issue at local, regional, and international levels. Following Friday prayers, dozens of Palestinians marched in Araba town in Jenin carrying Khader Adnan’s photos and chanting slogans demanding his release. Adnan has been on hunger strike for more than a month protesting against being inside Israeli prisons under the term of administrative detention. 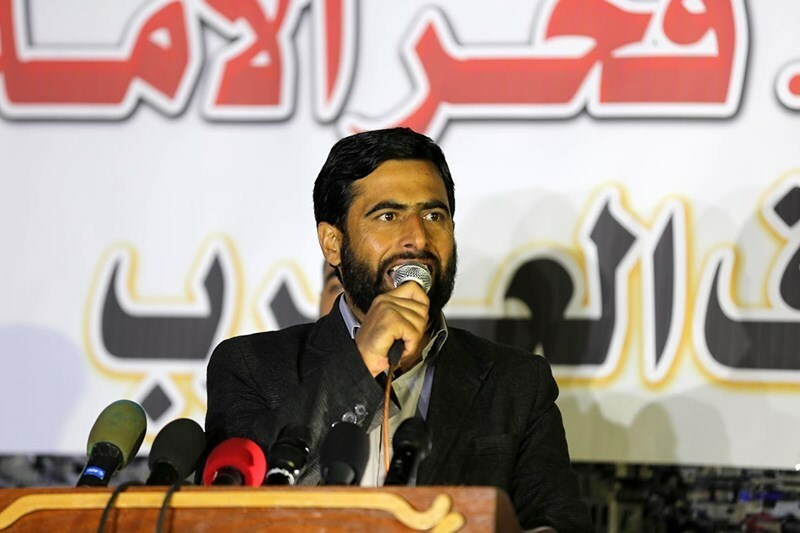 He staged one of the longest hunger strikes in history in 2012. A father of six children, Adnan was arrested on July 8, 2014 and sentenced to administrative detention for the 10th time in his life. Palestinians under administrative detention inside Israeli prisons are being held without charge or trial for months or years, and are denied access to the evidence that led to their detention.